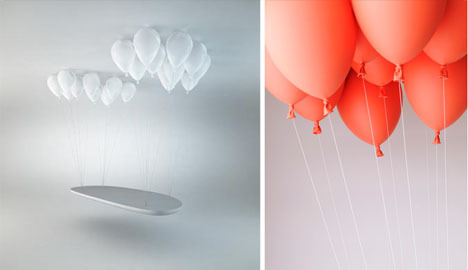 A balloon-floated house may be a flight of fancy (or at least something you don’t see everyday) – by comparison, a buoyant and comfortably-padded hover bench seems downright plausible. 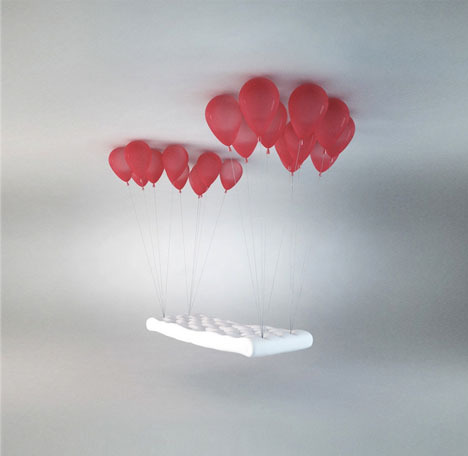 Still, this whimsical design has a secret: those strings you see tying the seat to the red balloons above are actually tension cables tied into the ceiling above and making this otherwise-conceptual piece a concrete (or rather: cushioned aluminum) reality. Still, this suspension solution works with the illusion, rather than separate strands or half-hidden back or bottom supports. 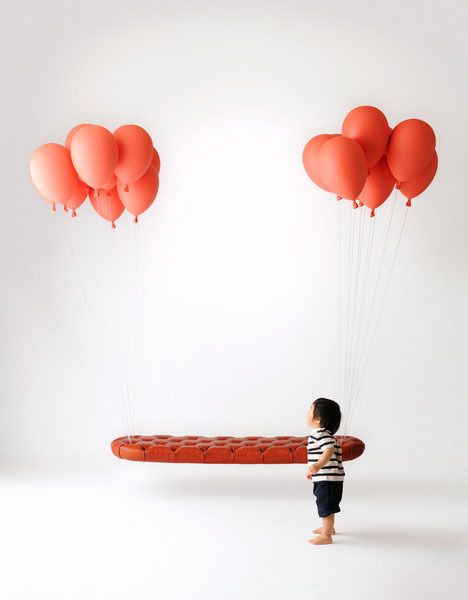 The Japanese group H220430 first conceived of the idea as a hard bench with bare minimalist white orbs supporting it, but then embraced its inherently playful nature (taking inspiration from the the French movie The Red Balloon). 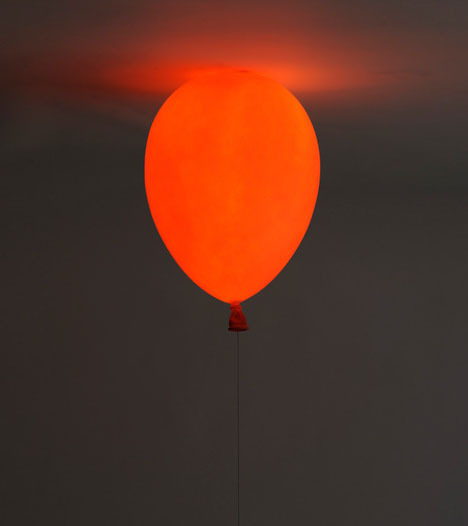 From there, for a little more fun, they created a similarly-style balloon lamp that also looks like it is floating along the top of the room, while it is actually tied into a traditional fixture above. Would be a great set for a kids room (though the old-style leather might not be every child’s style).